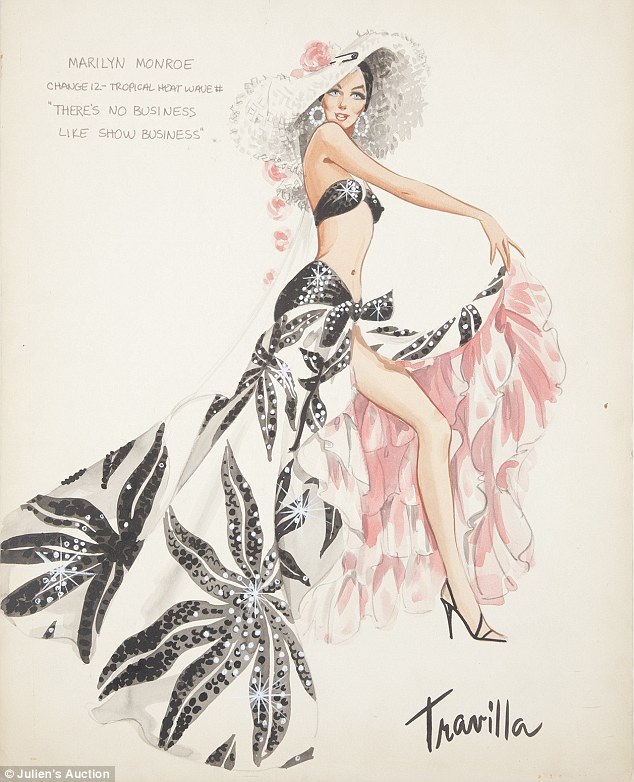 Costume designer William Travillas sketches of the dresses Marilyn Monroe wore in her famous films are set to go on auction in Beverly Hills. Included in the collection is the subway dress Marilyn Monroe wore in the film 'The Seven Year Itch'. Each drawing is expected to fetch around $8 000 to $9 000 a piece.